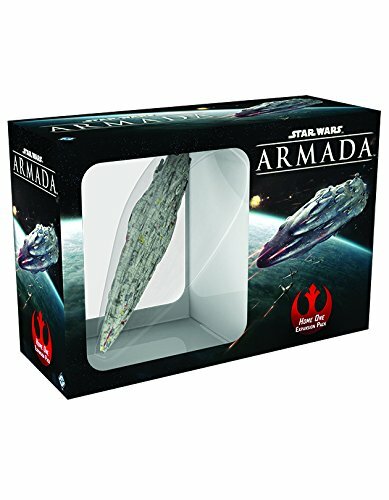 Admiral Akbar and his flagship star cruiser, Home One, arrive to Star Wars:Armada in the Home One Expansion Pack! You'll find one large-size, pre-paintedminiature MC80 star cruiser, two ship cards, three command dials, and fourteenupgrades. Altogether, the Home One Expansion Pack gives the Rebel Alliance aship that boasts battery armaments of six dice from both its left and righthull zones, making it capable of trading blow for blow with nearly anyImperial vessel. Empower a whole new set of tactics in your battles forgalactic freedom!.